Is EvolvHealth a Pyramid Scheme? A reader asked if EvolvHealth is a Pyramid Scheme. In this article, I apply the FTC’s guidelines defining pyramid schemes to EvolvHealth to better answer the question. Is EvolvHealth a Pyramid Scheme? EvolveHealth is a legitimate Multi-Level Marketing company that sells health and wellness products, and offers a business opportunity through a network of independent distributors. It is NOT a pyramid scheme. 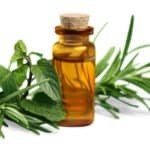 This article focuses on the MLM company Evolv found at EvolveHealth.com. I show why Evolv is not a pyramid scheme and reveal information that will help you determine if the Evolv business opportunity is right for you. FTC Telltale Signs of a Pyramid Scheme. To determine conclusively if a business is a pyramid scheme would require a thorough legal investigation. However, the Federal Trade Commission offers three telltale signs of a pyramid scheme. Money is made only by recruiting. You must buy lots of products. You are forced to buy additional tools or products to maintain an active membership. Why EvolvHealth is Not a Pyramid Scheme. Before you can understand why EvolvHealth is not a pyramid scheme, you must first understand how a pyramid scheme operates. Pure Schemes & Product Based Schemes. There are pure pyramids schemes and there are product-based pyramid schemes. Pure pyramid schemes are easy to spot because they don’t have a product. All they have is a so-called business opportunity. In a pure pyramid scheme, you are paid to recruit people into the organization. There are no retail sales. According to the FTC, the dependence of a company on recruiting and the lack of retails sales are major indications of a pyramid scheme. Because EvolvHealth has substantial retails sales and because an Evolve distributor can generate revenue without recruiting, the company does not fit the FTC definition of a pyramid scheme. Determining if a company is a product-based pyramid scheme or a legitimate MLM may require a legal investigation and court hearing. Most pyramid schemes in the United States offer a product so they can pretend to be a Multi-Level Marketing company. Usually the products are very expensive compared to similar products available at retail outlets. To be sure products sold by legitimate MLMs are usually expensive too. That’s because MLM is a highly inefficient business model and every product sold must generate commissions for everyone in the upline. But a product-based pyramid is different. The products are insanely expensive because it’s not about the products. It’s about the money. Remember how a pure pyramid scheme simply passes money from the bottom of the organization to the top? That’s illegal. A product-based pyramid scheme tries to look legal by charging $105 for $5 worth of product. In the end, $100 of pure cash is passed from the bottom to the top just like in a pure pyramid scheme. Product-based pyramid schemes also charge for product packs which is usually a form of front-loading a recruit with a ton of product. I suspect a lot of product on eBay is from disenchanted distributors trying to unload their stuff. Although a product-based pyramid scheme has a product, the product is so darn expensive no one will buy it. That leaves only one way to make money, recruit people, just like a pure pyramid scheme. While I do feel that Evolv products are expensive, in my opinion they are within the range of high-quality premium products. As I mentioned earlier, the products permit a distributor to make money without recruiting others. Again, I would say that EvolvHealth is not a product-based pyramid scheme either. Pyramid Schemes Sell a Dream. Here’s something I find that is common with pyramid schemes and some legitimate MLMs too. They sell a dream. What I mean, is they paint an emotional vision of how good your life will be when you are successful with their business opportunity. And, they continue to keep you emotionally engaged so you will keep slogging away in the trenches, buying their products and recruiting more people into the organization. It’s interesting when a business uses strong emotion to sell their products or opportunity because if they were offering genuine value, they would not have to resort to such manipulation. That’s exactly why pyramid schemes sell the dream, they don’t have anything of value to offer. To be clear, I did not find any evidence that Evolv recruits people by selling the dream. On the contrary, they are rather subdued about their products and opportunity. Another reason Evolv is not a pyramid scheme. Is EvolvHealth a Scam? I’m hesitant to call EvolvHealth a scam. By it nature marketing can be dishonest and manipulative. However, I feel EvolvHealth fails a critical test of integrity. The EvolvHealth Income Disclosure is very misleading. Since EvolvHealth promotes a business opportunity I consider it unethical for them to cook the books to make it look like all the distributors are making money when only 20% are. In a moment, I’ll show you more shenanigans in the Income Disclosure too. Making money should not be complicated. Unfortunately, the Evolv compensation plan reads like an insurance policy for the Space Shuttle. The complexity is intentional. It gives the illusion that you can make a lot of money. Also, I feel it is designed to shut down the rational mind. Reading the compensation plan is like listening to a boring preacher. Your brain goes to sleep. That is its purpose. It makes you stop thinking but at the same time creates the vision in your mind that you can be successful. Read the EvolvHealth Income Disclosure! Tom Waits told us that the big print giveth and the small print taketh away. He could have been describing EvolvHealth. EvolvHealth is careful to point out several times on their website that they are transparent. Unfortunately, when it comes to their Income Disclosure, they are not transparent at all. You’ll have to search for the link to the Income Disclosure. EvolvHealth puts it at the bottom of the website and they make the text gray with a black background. It’s hard to see. If you do find your way to the Income Disclosure you have to read it carefully to understand the trick they are playing on you. If you look at the table, you might think that 7% of the Evolv distributors earned an average of $373 a week or that 3% earned an average of $600 a week. That’s what the table says but read the paragraph under the table and you will see that only 20% of the distributors made anything at all and that the average income was $219 for the year! The trick they are playing in the Income Disclosure table is that they are only reporting the revenue averages for the distributors who made money, NOT the average for ALL distributors. In other words, 80% of the EvolvHealth distributors did not make a dime. And, the numbers they are show are five times higher than they should be. It’s a clever trick and very misleading. 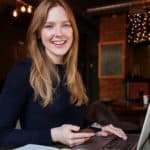 Can You Make Money with EvolvHealth? Honestly, most people do not make money with EvolvHealth. The Income Disclosure shows that only 20% of the distributors made money in 2015. The numbers for EvolvHealth are consistent with the MLM industry. Dr. Jon Taylor reported that only 1% of the people who try MLM make money. Any form of entrepreneurship is tough, and nobody makes money right away, but 1% success rate is horrific. You can try just about any other kind of business and have a better chance at success. How Much Will You Make with EvolvHealth? According to the EvolveHealthy Income Disclousure, in 2015, the average payout was about $220 for the year! Factor in what distributors paid for products and other business expenses and it’s easy to imagine that the average distributor lost money. Evolve Distributors are a Captured Market. When you consider the numbers, the distributors begin to look more like customers than distributors. MLMs are private monopolies selling expensive products to a captured market. Distributors become emotionally committed to the opportunity and continue to buy product even when it is obvious that the opportunity is not working for them. According to the EvolvHealth Income Disclosure, 80% of the distributors are not making money. We can assume they are buying product. Should You Join EvolvHealth? That’s a personal decision. Just because EvolvHealth is not a pyramid scheme doesn’t mean it’s a good opportunity. I’ve shown that very few distributors make money with the EvolvHealth business opportunity. If you’re hoping to make money, it’s doubtful you will with EvolvHealth unless you have profound leadership skills and hold influence over a lot of people. People who make the big money with MLM are people with extraordinary skills for influencing others and who have a system for feeding people into a recruiting machine. Most of us don’t have those skills. Although EvolvHealth is careful to avoid dependence on recruiting and offers a strong retail sales option, recruiting and building a sales organization is key to making a substantial income. People are always quitting too, so you must be able to recruit people into your sales organization faster than they are leaving. Most of us can’t do that. Remember, although EvolvHealth is a legitimate MLM their products are expensive. It can be a tough sell. If you are considering joining, buy some of the products first. See if it works for you. If you like the product and you can honestly recommend it to your friends and family Evolv might be the place for you. Keep in mind that although you are considered an independent business owner when you are a distributor for Evolv, you are just a commission salesperson. Ultimately, you are building a business inside Evolv. Ultimately, you are building THEIR business. That isn’t true entrepreneurship. If you want to make money, avoid business opportunities pitched by someone who comes to you. That’s always a bad sign because they stand to gain something by recruiting you into the business. The money they make has to come from somewhere. It is probably going to come from you. EvolvHealth is a Typical MLM. EvolvHealth is not a pyramid scheme and it’s not a scam either. It’s a typical MLM. Unfortunately, that’s not a good thing either. To discover why MLM isn’t a legitimate business opportunity, Read The Heartbreak of MLM. 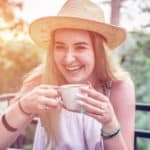 If you found this article helpful, or if you have insights or experience with EvolvHealth, please leave a comment below. Thank you. First of all, i want to thank you for educating us on What a pyramid scheme is and what it is not. I had always taught that MLM is same as pyramid scheme, but having read through your post i now understand fully what a MLM is. I must confess i have really suffered from all these pure pyramid schemes before whereby, all the money are passed from the bottom to the top of the organization. Getting to the top is so hard and laborious as one has to constantly recruit new people into the scheme to move a level higher. I want to commend you on your honest review whether we should join EvolvHealth or not. You have been able to let us know that only very few distributors make money with the EvolvHealth business opportunity. Thanks so much for this post. Hope to get more of these kind of posts from you in the nearest future. According to Wikipedia, A pyramid scheme is a business model that recruits members via a promise of payments or services for enrolling others into the scheme, rather than supplying investments or sale of products. 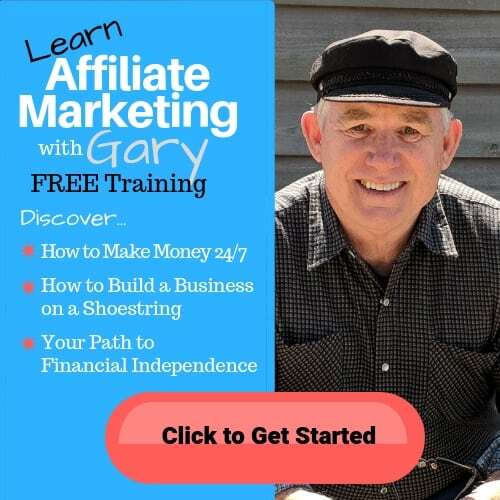 As recruiting multiplies, recruiting becomes quickly impossible, and most members are unable to profit; as such, pyramid schemes are unsustainable and often illegal.From your review of evolvhealth, you mentioned that the company has products. For me, even if a company’s products are actually worth the price, It doesn’t necessarily make it a good business opportunity to invest in. My second reason for not believing in this opportunity is that they say distributors can make lots of money through retail sales. I have a friend who joined a similar program purportedly selling health foods and drinks. He was manipulated into joining the program hoping to make money from sales of products. He failed woefully, he couldn’t convince anyone to try any of the products due to their unusually high entry point. Personally, I hate to sell or convince people to buy physical products, hence evolvhealth is not an opportunity for me. That sums it up nicely. I’m not surprised your friend failed at his attempt with MLM. 99.99% of people do. 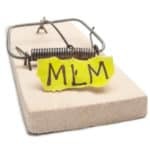 MLM are created to make money for the people at the top, not for the little guy. They sell the dream of making lots of money to lock people into buying their overpriced products. EvolvHealth certainly sounds like something to stay away from. Most MLM schemes are that way from what I’ve read and heard. Although not pyramid schemes they closely follow the idea and skirt the edge of the law to keep from getting in trouble. Have you found any truly legitimate MLM programs that actually make you a decent amount of money? Even if they take a lot of work? I believe that to make money takes work, there are no get rich quick scenarios. Thanks for telling us about EvolvHealth and exposing the fine print. I love your sense of humour. It’s like an insurance policy from the space shuttle. I really don’t like MLM because there is no guarantee that you’ll make a sale. I’m a very poor sales man so I couldn’t even try this. I remember when I got some products off an MLM scheme, I finally had to give my neighbors for free cos I couldn’t make sales. Thank you for cleared a big doubt that I had in my mind. Just like other people I was confused if EvolvHealth was whether a pyramid scheme or not. This article has broken all the myths and also explained everything I wanted to know about EvolvHealth and their business. It is good to know about a platform very detailed before trying it, instead of me going and searching the whole web for it I got everything in the same article.Thank you so much for sharing this article. Who knew EvolveHealth had such a bad track record. Glad I read your review! I like systems that are easy to use and easy to make money with. This looks difficult and I’m not sure this would be something that I would recommend to my friends. Why do you think MLM’s are not legitimate business opportunities in general? Are they generally bad for the beginner? I’ve heard some people say that they can work well.Thanks again! I think it is unethical to promise people they can make money with a program when that program has failure built into it. 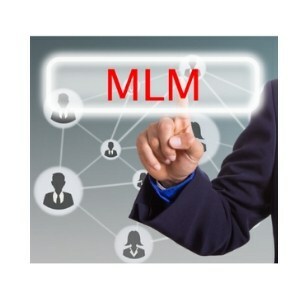 MLM sell the dream of making money as a way of selling their over-priced products, not as a realistic business opportunity. Thanks for review of EvolvHealth as I had not known about this company previously. Good job of describing exactly what a pyramid scheme really is and how EvolvHealth differs from this. Although not a pyramid, you have accurately pointed out the misleading nature of their Income Disclosure statement and how they make their compensation plan unnecessarily complex. Your honest evaluation of the prospect of actually making money with EvolvHealth, or for that matter any MLM, is refreshing. The “heartbreak of MLM” unfortunately is a reality for many looking to build a business. I can count on you for wonderful review because this is so awesome and informative. Moreover, whenever it comes to product marketing online and the likes, a whole lot of people ignore the potency of making profit or huge return in shorter period. But the fact that EvolvHealth is not a pyramid scheme, makes it a whole lot better and safer. Hi Gary, I find your review about EvolvHealth very good and informative. You gave us really good description and knowledge about pyramid schemes, especially I like the three telltale signs what is a pyramid scheme by Federal Trade Commission, I think this really should remember everybody. After reading all the facts I need to say that the EvolvHealth isn`t for me, I wouldn`t trust it. Thanks for sharing with us! EvolvHealth is a new one to me. I’m not familiar with it.It doesn’t appear to be a pyramid scheme but at the same time you can’t make any money with it so why would anyone join it then? It may not promise you the moon and the stars but it certainly doesn’t look like there’s any money to be made.When you’re searching for something, you want to check everything out about the company and do your homework. Anything worthwhile requires work but I wouldn’t attempt EvolvHealth at all.